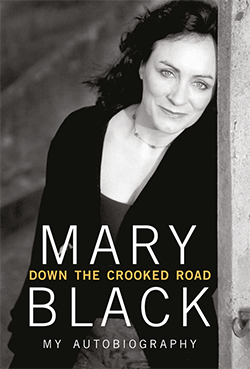 Mary Black's autobiography Down the Crooked Road - My Autobiography goes on sale in the shop of this site on 9 October. The Down the Crooked Road - The Soundtrack will go on sale in the shop of this site on 17 October. 'In 2010 Transworld Publishers asked me if I would be interested in writing my autobiography. The prospect of writing a book had never occurred to me and I declined. I wondered would there be much interest in it. As well as that I was in the midst of touring and had plans to go into the studio to record Stories From The Steeples. So I passed on the offer but I think it planted a seed in my mind. Transworld approached me again in late 2013. This time I gave it more thought. I was a little apprehensive at the prospect and so sought some advice. I had also decided at that time that after 30 years I was ready to hang up my touring boots and it seemed that this book could be a nice way to mark that end. I knew I would need someone to help me get the stories down on paper, but I wanted that person to be someone I knew and who knew me. I asked my daughter Róisín if she would type up a couple of stories for me and in October 2013 the two of us got stuck into writing. The memories and stories started to flow and Roisin began to question me about different aspects and details of the events. She had been an avid reader from a young age and seemed to have a natural understanding of the process. It was a precious time spent with Róisín. I would sit with her and tell her the stories while she listened and typed. Oftentimes when I was finished she’d rub her hands together and say, ‘Ok Mam, now let’s set the scene.’ She always managed to ask the right questions and really gave shape to the chapters in an intuitive way. A signed copy of the "Down The Crooked Road" autobiography and a signed copy of the "Down The Crooked Road - The Soundtrack" CD. A signed copy of the "Down The Crooked Road" autobiography. A signed copy of the "Down The Crooked Road - The Soundtrack" CD. Mary will be visiting the UK with her 'Last Call Tour' in May 2015. The 15 dates have been added to the concerts page. Pre-sale for this tour starts on 11 September at 9am via this link. Mary announces a ‘Last Call Tour’ in Holland/Belgium for February/March 2015. Cities include Utrecht, Apeldoorn, Brugge, Aalst, Gouda, Haarlem, Hoogeveen, Bergen op Zoom, Amsterdam and Tilburg. For the exact dates, please see the concert page. Mary will be visiting the USA with her 'Last Call Tour' in October/November 2014. The first nine confirmed dates have been added to the concerts page. More concerts are being scheduled and will be added when they have been fully confirmed. 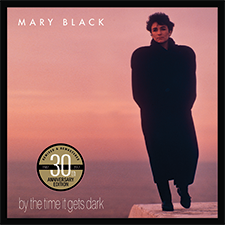 3ú Records are proud to announce the latest album release from Mary Black. 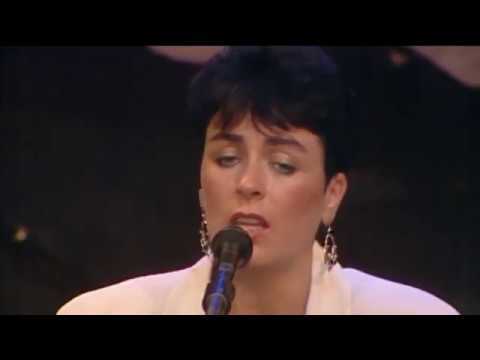 To coincide with the release of her autobiography 'Down the Crooked Road' Mary has selected 18 songs from her repertoire spanning almost 30 years. These songs form a backdrop to her narrative, a kind of Soundtrack to her life story. To coincide with the launch of her autobiography “Down the Crooked Road” and the “Soundtrack” CD, Mary is delighted to announce an Irish Tour in the New Year. Starting in mid January, this is Mary’s first Irish tour in four years and she is looking forward to getting back to her Irish audiences. Mary will be joined on stage by her best band - Bill Shanley, Pat Crowley, Nick Scott and Richie Buckley. The nationwide tour of 15 dates will include Dublin’s Vicar St, Cork’s Opera House, The Millennium in Derry and many of Mary’s favourite venues. For the full list, please visit the concert page.